27. Contare i voti, 1876. 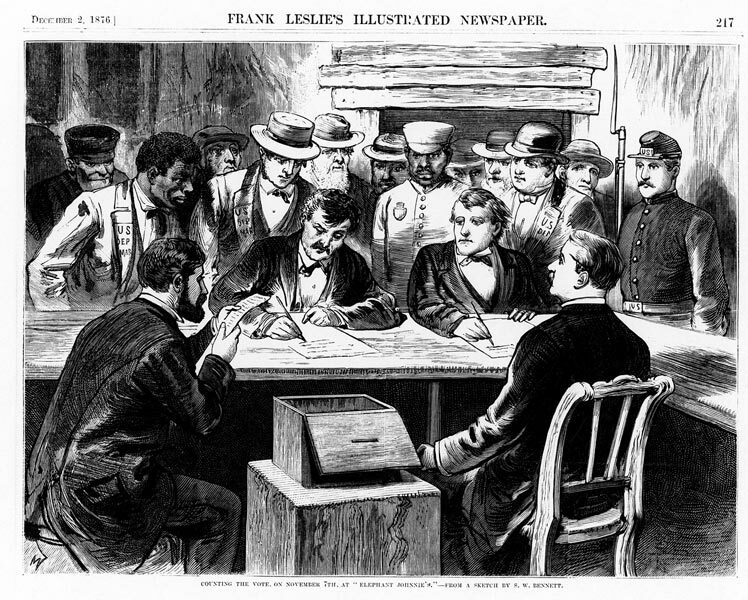 Counting the Vote at Elephant Johnnie’s, a New Orleans Bar and Polling Place, in «Frank Leslie’s Illustrated Newspaper» (December 2, 1876). National Museum of American History, Smithsonian Institution, Washington, D.C.